Hot-rolled steel sheet manufacturers are forecast to suffer after the Commerce Ministry ruled out extending safeguard measures. Thailand’s steelmakers produce 9 million tonnes of steel bar a year for construction, while the domestic market demands about 3.45 million tonnes per year. Somchai Harnhirun, the acting industry minister, said the ministry expects to announce the regulation draft, then propose it to the Council of State for endorsement. 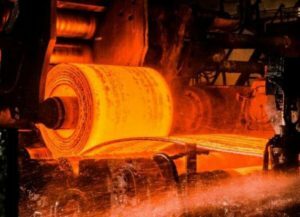 “The ministry hopes the rule goes in effect soon to help the domestic steel industry,” he said. In the past several years, domestic steel producers needed the government to resolve steel bar overcapacity, as the industry is already under threat from potential Chinese steel imports. Thailand has 45 steel bar plants with a total capacity utilisation rate of 33.2% and can expand steel capacity in the future to meet domestic market demand. Mr Somchai said the government calls on steelmakers to improve their technology, upgrade steel quality to meet high standards and solve the SOx and NOx emission levels to prevent outdated technology from polluting surrounding communities. Nava Chantanasurakon, chairman for the Association of Thai Hot-Rolled Steel Sheet, said the country’s steel industry is suffering after the Commerce Ministry on Jan 7 ruled out extending safeguard measures on imported hot-rolled steel sheet with alloy, both in coils and not in coils. The ministry made the move after a probe found no harm to the domestic steel industry. This safeguard measures will end on Feb 26. Thailand’s safeguard measures on imported steel began on Feb 27, 2013. Thailand has two major hot-rolled steel sheet makers — Sahaviriya Steel Industries, the country’s largest, and G Steel. Mr Nava said this policy sent the country’s steel industry into a panic because many steel producing countries have prioritised safeguard measures to protect their local manufacturers. “The safeguard measures should be used during the US-China trade war,” he said. Mr Nava forecasts cheap steel sheet from other countries will be dumped in Thailand, where local producers have invested over 200 billion baht. “They will face a huge obstacle in running their businesses, and their business partner will suffer from this,” he said. Mr Nava said seven steel-related associations submitted a letter to the Board of Investment to request a waiver on the surcharge fee for steel imported by local steelmakers if the Commerce Ministry does not extend the safeguard measures.